Petoskey/Bay Harbor Fishing Charters: Little Traverse Bay, featuring the ports of Petoskey, Bay Harbor, and Harbor Springs, holds good numbers of adult King Salmon during the month of September. 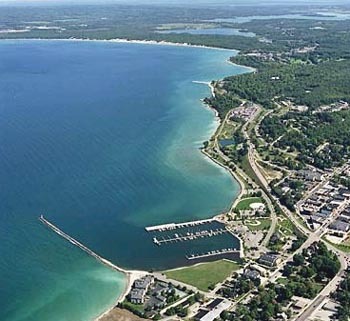 Fish stage in Little Traverse Bay in preparation for making a run up Petoskey’s Bear River, and September is prime time for targeting big King Salmon from Bay Harbor to Petoskey. Diabolical Sportfishing offers charters out of Petoskey, targeting large King Salmon during the month of September and early October.